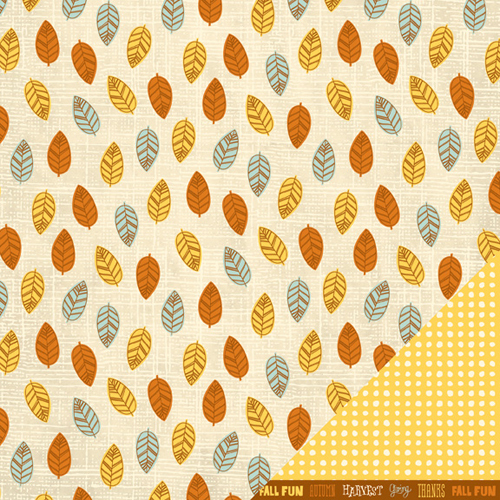 If there's one thing that marks the start of fall, it's the falling of leaves. 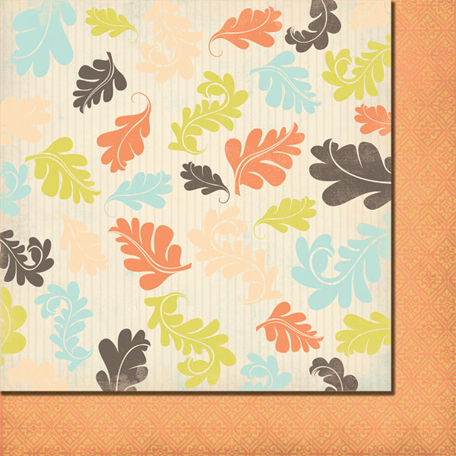 The leaves are certainly starting to turn and fall in my neck of the woods, so I thought I'd share a few of my favorite scrapbooking paper designs featuring this fall motif. 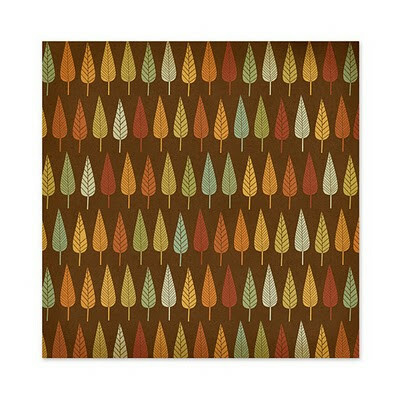 A simple leaf pattern...LOVE the burlap background on this design. This is a beautiful color combination...dark grey, peachy orange, pale blue and mossy green. 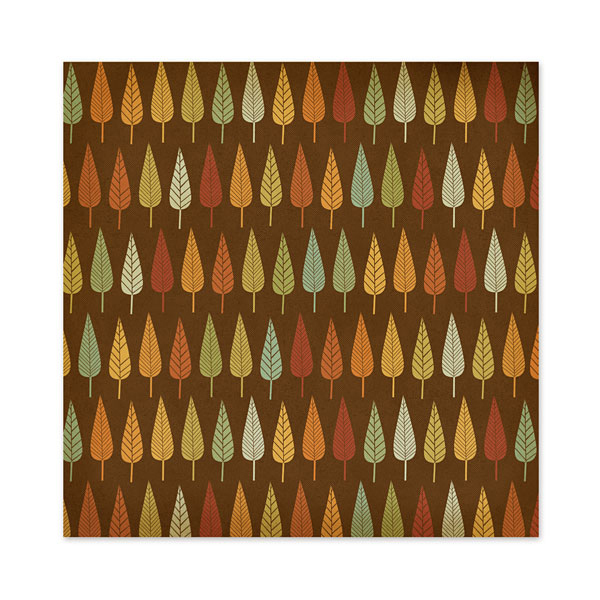 This is such a lovely, whimsical design...like these colorful little leaves are being carried on the breeze! How about you?? 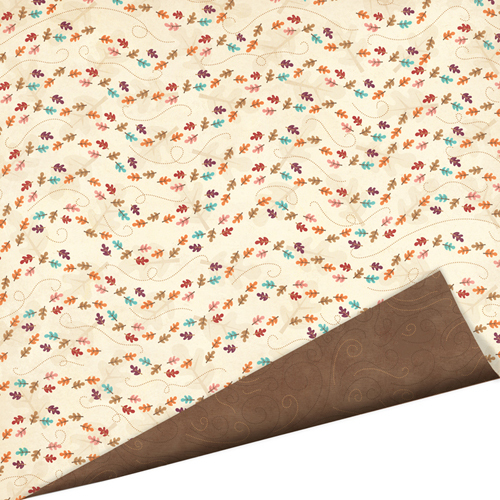 Any leafy products that have recently found a new home in your scrapbooking stash (or added to you wish list)? 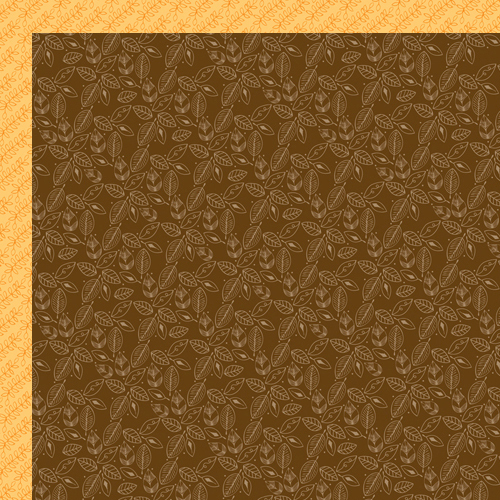 Links are welcome and encouraged!